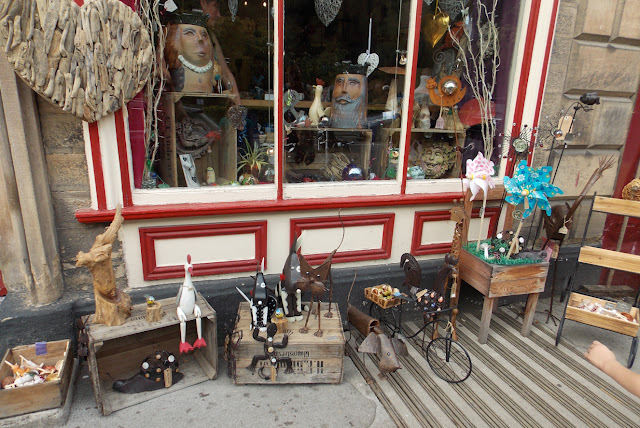 Matlock it is a lovely place to visit, right in the heart of Derbyshire with the rolling countryside views and the quaint stores to explore, chip shops and amusement arcades to entertain its a nice family day out. Matlock boost lots of tourists attractions, along with the lovely countryside views and the River Derwent there is the heights of Abraham if you are feeling brave, or Gullivers Kingdom if you want to incorporate more structured activities into your day out. Gullivers Kingdom is a theme park aimed at the lower age range, centred round children this is a great day out if you have youngsters. 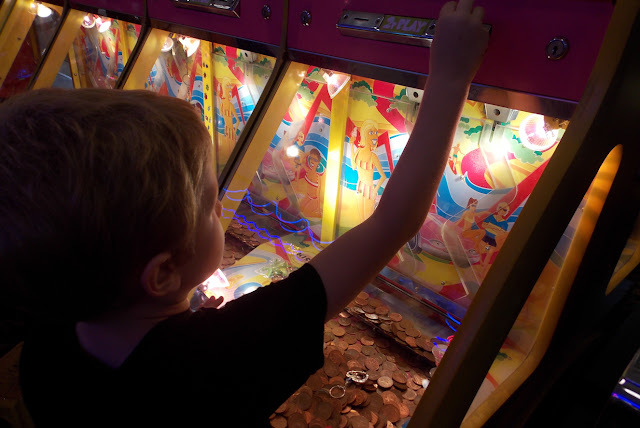 However as children grow up they might find the rides and attractions on offer abit boring, which is why Gullivers Kingdom in Matlock have just added a new activity to the park to give the older children something to entertain them. SpyZone is aimed at children aged between 7 and 13 this is an action packed purpose built training facility for budding secret agents. It is a separate attraction to the main Gullivers Kingdom Theme park and tickets can be purchased for SpyZone without having to have access to Gullivers Kingdom, however entrance to both means you get bundled discounts on the individual ticket prices. Getting to Gullivers kingdom is easy and well signposted from all directions, and once you are there you will find several car park options, it is however worth noting the location is a very hilly one so the walks from lower car parks upto the entrance is quite sloped. The adverts for SpyZone entice with promises of exciting sounding activities including dodging laser beans, cracking codes and defusing bombs - right up any active childs street, after watching the trailer on Youtube and reading other peoples reviews we were all very excited to be asked along to review SpyZone. The car park was very busy and we had to park a small distance away from the entrance, the car park we found was a pay and display car park and cost £5 for the day, with cheaper option if you are not staying very long. We entered the SpyZone building and were greeted with a friendly member of staff, the waiting room is lovely, with black leather sofas and TV's showing the footage from the cameras filming inside the SpyZone itself giving entertainment for people waiting. There's also plenty of refreshments available in the waiting room and a selection of small spy related souvenirs. 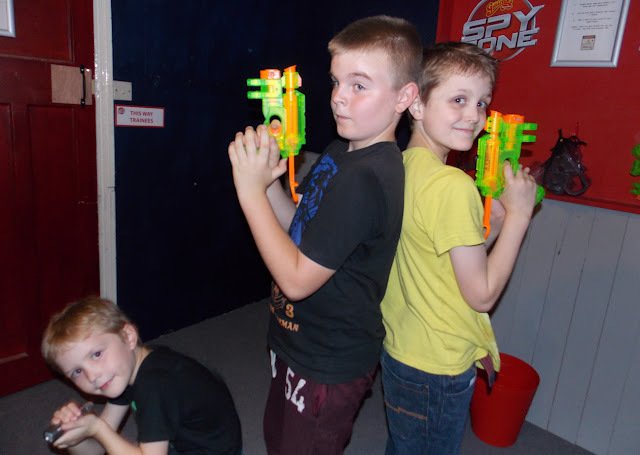 Spyzone itself has been designed for older children and those aged 10 and above can go through the spyzone alone, under 10's are also welcome to join in but must be accompanied by an adult. 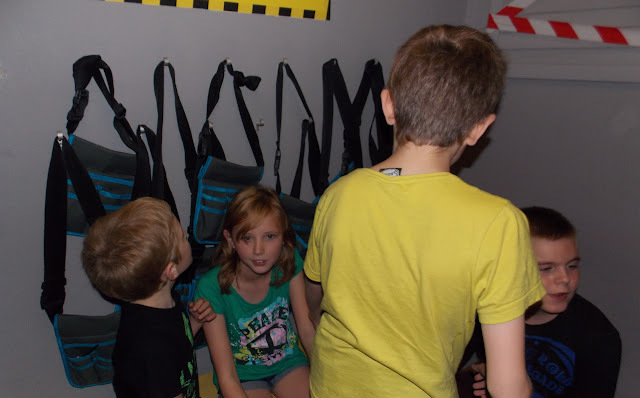 We were told that we would be exploring 8 rooms and have to find hidden words in each room and write them down on the scorecard. 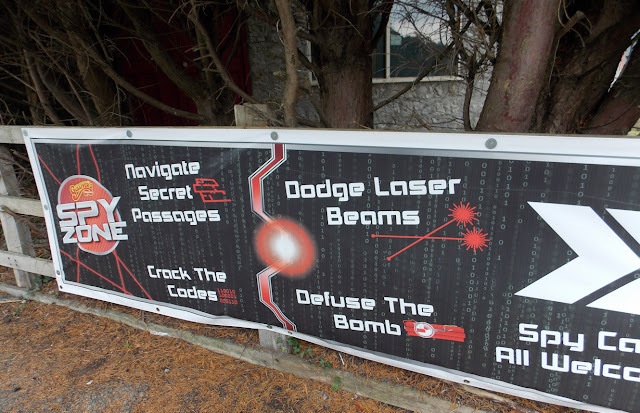 The staff member told us roughly what to expect and how to use the different pieces of spykit to help us crack the codes. Unfortunately we were given only 2 spykits, between the 6 of us, due to the numbers of other families booked to attend, this was a shame and I'm sure it would have been a better experience if every member of the group had their own kit, as we only had 2, each child who was without a secret torch, or bugg detector was left abit disheartened. However, ever optimistic we set off, with the promise of swapping the bag each time we entered a new room. 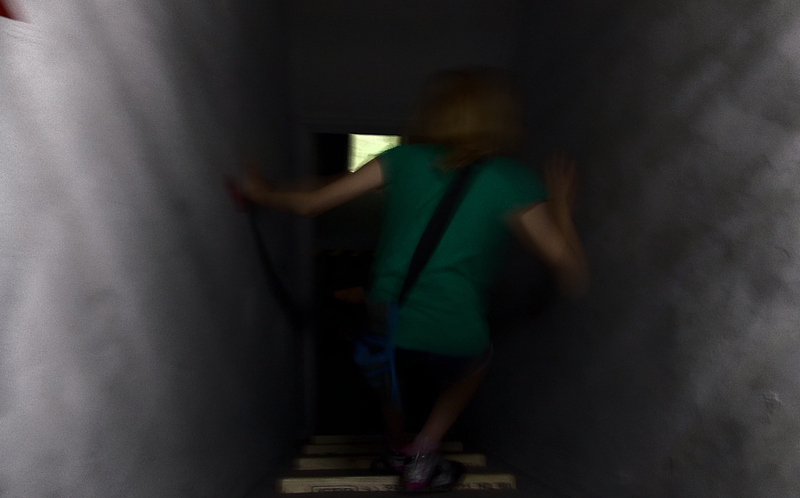 The rooms are separated by tunnels which you have to crawl along, scramble up and drop down, they are fairly dark but not too difficult to navigate, and definitely add to the overall enjoyment of the activity. Upon entering each room you have to press a button which activates a voice recording telling you the mission in that set room, you then get around 5 minutes to complete the task. I am not sure if we are just useless spys, but we found it actually quite difficult to crack the codes, the children were too excited to really listen to the instructions, and much preferred just exploring the rooms. 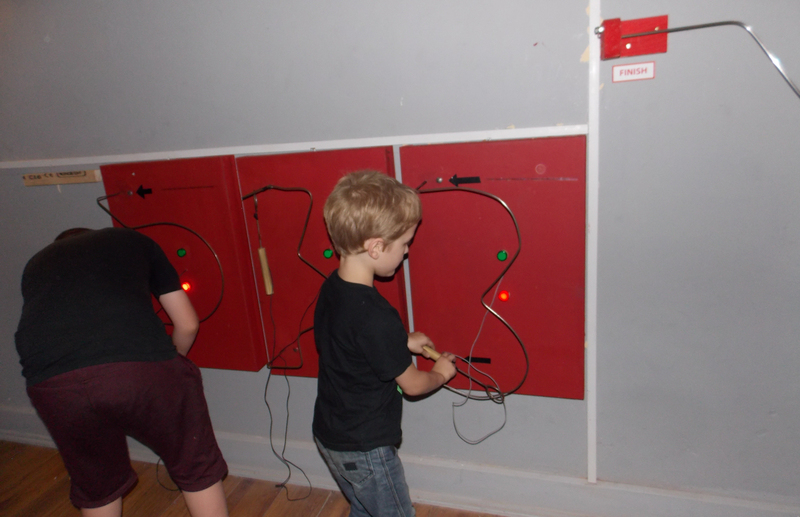 One of the rooms had lots of slight of hand buzzers, the idea was to move the handle along the wire to the finish position, without the buzzer going off and the red light appearing, once complete your secret word flashed on the control box. 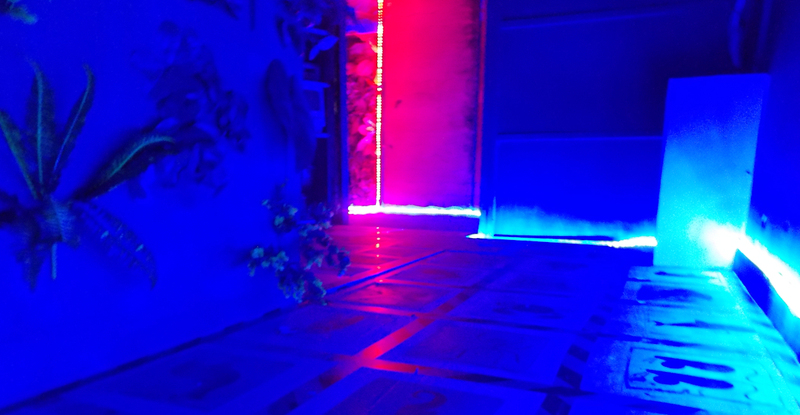 Unfortunately several of the buzzers were not working correctly and were permanently showing red lights, however this didn't seems to matter to the children. 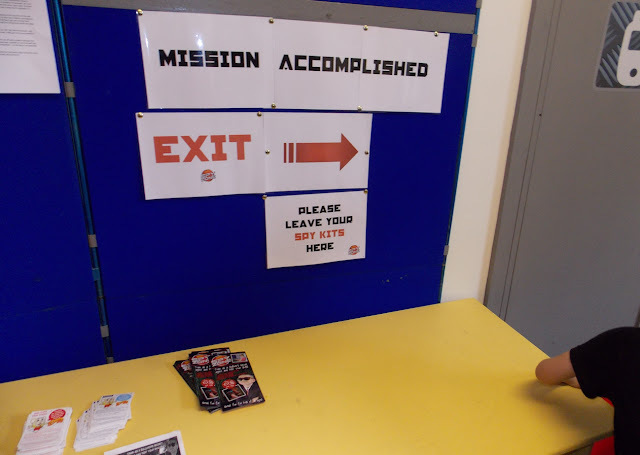 One of the rooms everyone enjoyed was the bugged room, where we had to find 8 bugs using the BDB (bug detection device) in the spy kit. 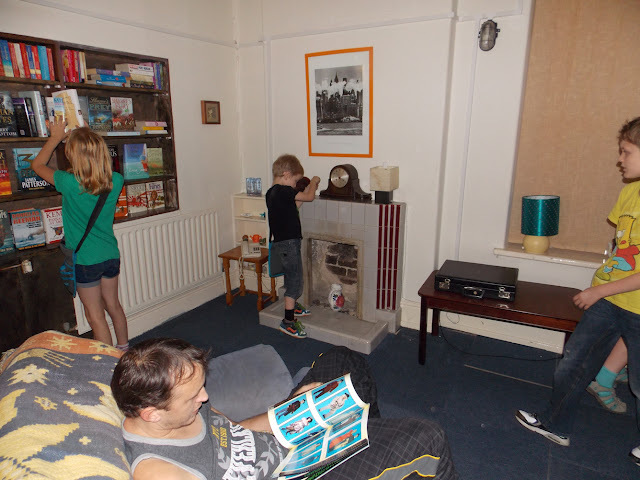 Everyone enjoyed looking around this room, then leaving through the door in the cupboard! leaving the room through the secret cupboard door! As we progressed through the rooms we found other areas where the attraction had sadly been damaged, I guess that in the nature of the attraction - excited children and sometimes without adults along side them, it is only a matter of time before things get broken by heavy hands, and when the attraction is busy like the day we visited there was no staff going into the rooms between each family to ensure the room was how it should be which was a shame. Some of the rooms took a while for us to understand what we should be doing, or if what we were doing was right as it was hard to tell if the items were broken or if we were simply doing things wrong. I am not sure how a group of 10 year olds would get on if no adults were present at all. The rooms at the end of the set were the most popular, one room, which was a favourite, had several Nerf guns and a firing range. 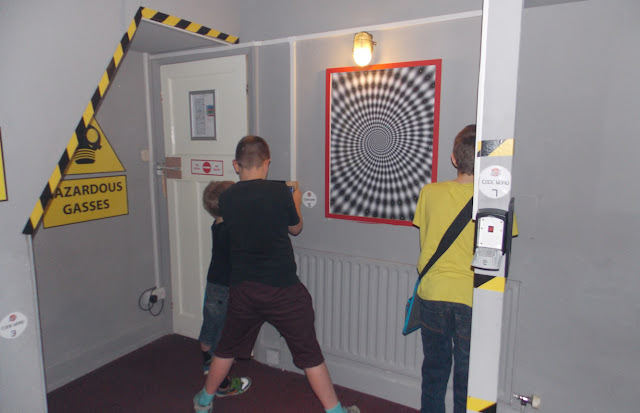 The boys loved this room, there were no codes to crack here just a free time to fire into holes as you try to remember your own score. Then came the laser corridor, which was where we were met with the staff member again, she led us into the laser corridor and we all took turns to jump over and crawl under the laser beams without setting off the warning light, this was the most enjoyed section for everyone, only Chloe managed to completely get through without setting off any alarms. The final area had no code words to find, which meant we didn't have to worry about that side of things. The final room was abit like a maze which we walked around, but left us not quite sure if we were getting things right, no obvious sounds if you stepped off the markers, the instructions said there should be more lasers but we couldn't see them, the safe containing what I assume must of been the bomb to complete the mission unfortunately was also broke, with no lights or beeps as we inputted the codes and so no matter what we tried we couldn't open it leaving us not really sure to what should have happened at the end. 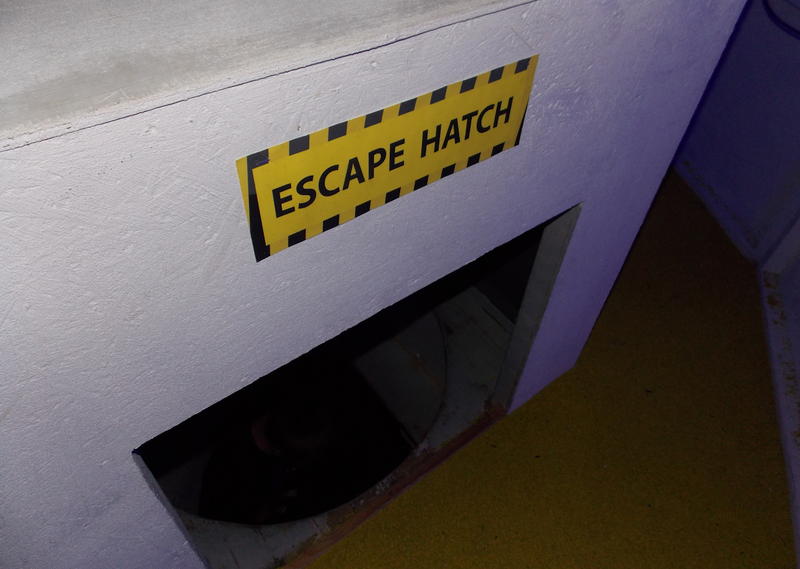 So we jumped through the escape hatch, and were finished. If the country is depending on an upcoming generation of code breakers and my children are anything to go by, I think we're doomed! We were not greeted with any staff to check our answers or tell us if we had done well - or not as our case may have been. Instead there was a table asking us to leave the spykits there, and our bags were waiting for us to collect underneath. Overall the children did enjoy it, personally I feel it could have been a little better. Reading other peoples reviews and the information on the website it sounds like we may have visited on a off day, but still it is a shame when such a good concept like this is let down by several little things which could have easily been rectified. Besideds the missing Spy Kits and damaged sections inside, the children did struggle to keep on track I feel the lack of involvement from staff meant the children didn't really feel compelled into completing the activities and so didn't really get any enjoyment from that side of the attraction, instead they found fun in the more physical elements crawling through the tunnels and exploring the rooms, this may be because my children are just over excitable and not focused enough, other families may have a calmer attitude to it all and get more satisfaction from the code breaking aspect. The whole process took around an hour, and is definitely a group activity so would be great for birthday parties if there was more input from staff to ensure things ran smoothly a good enthusiastic member of staff could make a good activity amazing. I would say the ideal age would be around 6 to 10 years old with an adult going through the Spyzone with them. Overall was it worth the ticket price? If you take advantage of the entrance bundles which give you access to Gullivers Kingdom and Spyzone for £17.95 per person (just £2 more than park tickets alone) then it is well worth it, as a stand alone attraction, it may be abit on the expensive side at £7.95 each for something that is potentially a short activity, however Matlock itself is a lovely place to explore meaning you can happily make a day of it, and with it a completely undercover attraction it is always somewhere to retreat too when it rains. 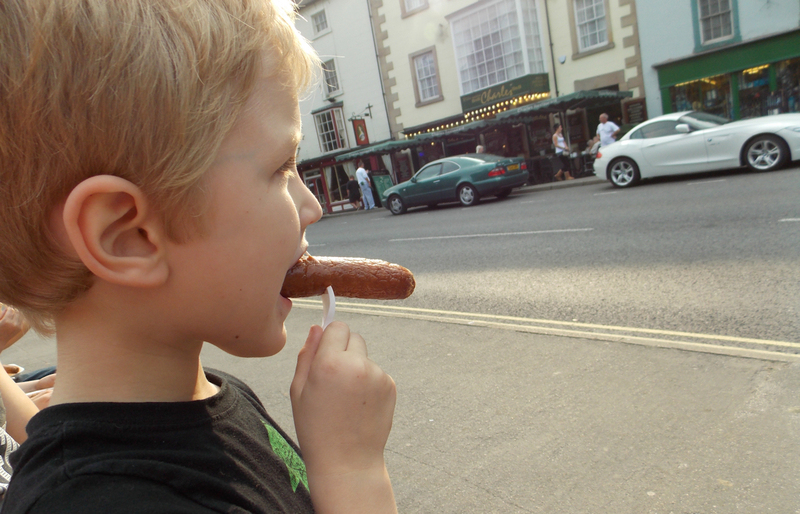 We enjoyed chip shop food for tea whilst soaking up the sights. Drinks however, were very expensive everywhere, so its a good idea to take your own. 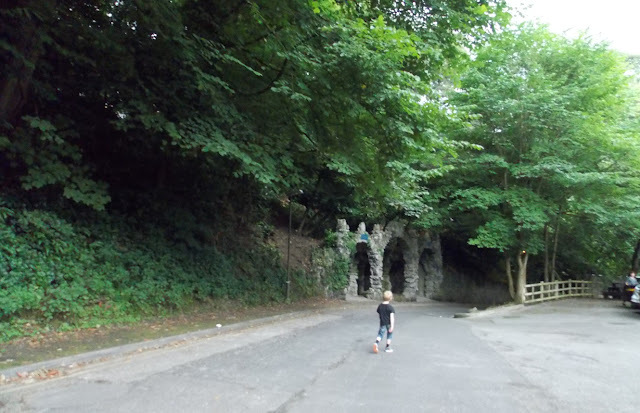 As I previously mentioned Matlock is very Hilly so there are plenty of walking uphill involved to get to see the best views, but if you don't mind this then there are lots of places to explorer around the River Derwent with the bandstand and a nice childrens play park. If you are thinking of taking a visit to Matlock Bath, it is worth a visit to Gullivers Kingdom and SpyZone too, and it may be worth noting that through September to the end of October there is the annual Matlock illuminations which means on Saturdays and Sundays there is a parade of illuminated boats which take to the river, accompanied with entertainment and firework displays in the evenings which would extend the entertainment even longer. 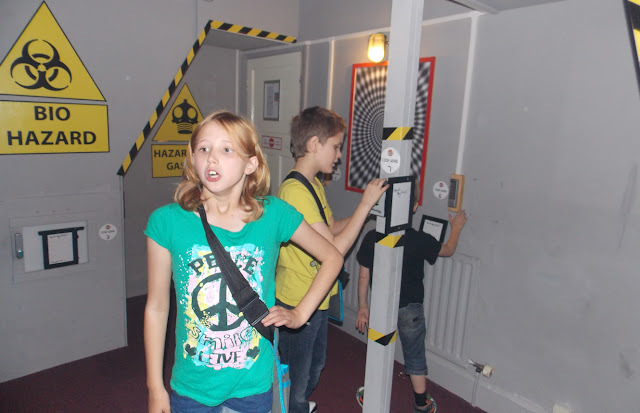 To find out more about Gullivers Kingdom and Spy Zone take a look at the website here. We were provided with free entry tickets in exchange with providing a review, all photos and opinions are my own. 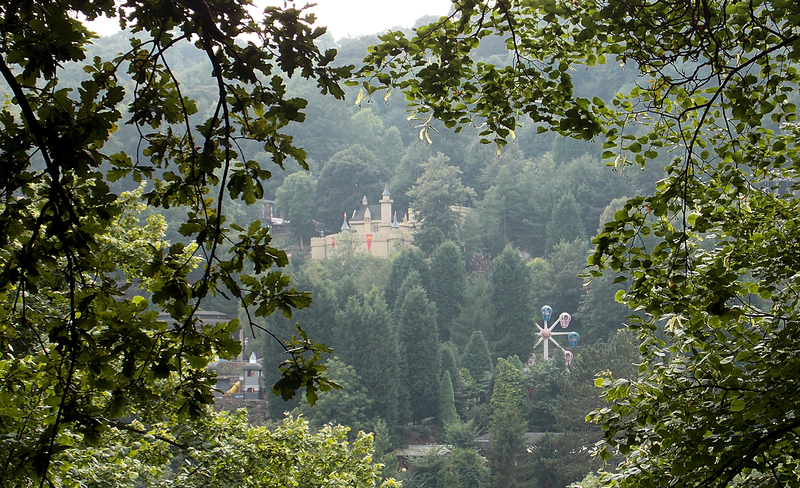 We love Matlock and recently went to Gullivers! It was a great day out.